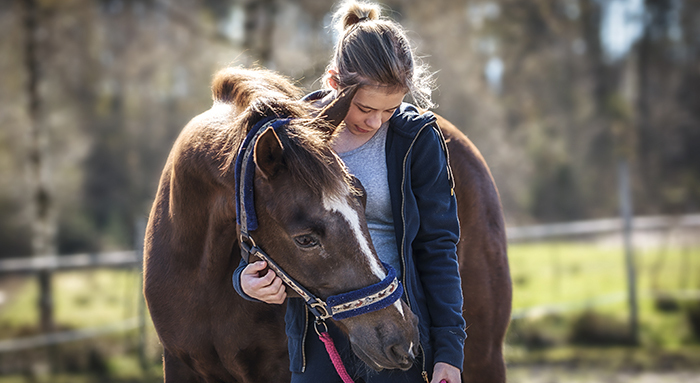 To help horse owners to identify whether their equine is at risk, postal test specialists Westgate Labs, have added a faecal sand test to their range of easy to use, evidence-based test kits. Carolyn Cummins MVB Phd MRCVS, consultant vet to Westgate Labs, said: “Horses presenting with sand colic usually have a history of grazing on sandy soils, drinking from natural water courses, being kept on restricted grazing or fed in a ménage. For equines in these situations a faecal sample can be taken at intervals through the year and checked for sand to assess the levels in the gut. With the variables of gut movement it is possible for the test to generate a false negative. For this reason, the Westgate test includes two sample kits; if no sand is detected in the first sample then a second can be taken a few days later. Kristy Hodgson, director of operations at Westgate Labs, said:“The test itself is a simple sedimentation technique which horse owners can of course conduct at home. We have introduced this service in response to requests from customers who would prefer to send their samples to the laboratory.